The Ontario Securities Commission has dropped the hammer on it. Depositors are running for the exits ($591 million worth of its savings accounts were cashed in between March 28 to April 24, with more to come). The company has been downgraded by DBRS to non-investment grade. And most of its former top leadership have been shown the door. Here’s a summary of the gory details from Bloomberg. Home Capital stock closed today at $5.99, down 65% on the day and 84% from last May. There’s now speculation in the media that OSFI, the banking regulator, will wind the company down or force a sale. It’s important to note that’s pure speculation until proven otherwise. No one can count it out just yet. It has long-standing institutional ties (e.g., RBC and other reputable names have referred a significant amount of non-prime business to Home. Institutions have continued funding its loans, even after the fraud was uncovered). Non-prime is its core business and non-prime borrowers are often just happy to get a mortgage at all, regardless of who it’s from (albeit depositors don’t have the same degree of understanding). Committed incentived funding partners with deeeeeep pockets (did I say deep?). It won’t take long to get more clarity on Home’s viability. Expect a series of major announcements from the company, and perhaps regulators, in the next few days and weeks. I wouldn’t be shocked to see Stephen Smith step in with a consortium and bail out the company. He’s got all the capital connections and this would give him an incredible legacy as the man who saved Canada’s subprime market. It’s going to be an interesting Thursday! On an absolute basis there is hundreds of millions worth of mortgage fraud perpetrated every year, according to sources like Equifax. It’s been that way for ages. I haven’t seen reports to suggest fraud is growing fast as a share of originations. But by all means, if you have hard data to suggest otherwise we’d love to see it. On a percentage basis, relative to Canada’s $400+ billion in annual mortgage fundings, bad mortgages are not a systemic threat. In other words, not enough people are fraudulently getting mortgages they shouldn’t to trigger a housing crisis. It’s also important to distinguish Home Trust’s policies (back when the fraud occurred) and the alleged actions of a few of its personnel, from standard practice at other reputable lenders. What happened at Home is simply not representative of the industry as a whole. In fact, this debacle has only served to strengthen regulatory oversight and underwriting quality. If we all agree that the broker/agent community should be cleaned up as much as humanly possible, then I believe there should be a full disclosure of the individuals involved! Those of us who are actively involved, in recruiting new agents for our firms/teams, have the right to know who was barred from Home. Our industry is still a collection of grass roots, self employed people wanting to succeed! You omitted the class action in the “not going for it” section. Given the current share price, damages from that action are legitimately in the hundreds of millions of dollars. HCG’s assets, $20 billion of loans on book and mortgage service stream, will be sold. Any deposit holders would be more than foolish to stay with HCG. What’s the upside of maintaining a deposit with HCG now? The ligation point, which is unquantifiable at this stage, has since been added. We’ll have another update soon as lots has unfolded since this story…. I agree why is no one holding those 65 Broker/Agents accountable where is FSCO in all of this why do we even have a FSCO then if they are not there to protect ???? The most compelling word I heard yesterday to describe what is happening at Home Trust right now is: Tragedy. Nothing is more fitting. This is a truly wonderful company with a 35 year history of being a champion of the mortgage brokerage channel. Home Trust did nothing but good for Canadian Home Buyers, mortgage brokers and up to just recently it’s shareholders. It was a classic Canadian success story starting with one indomitable man’s vision from ZERO to 900 plus employees and $20 Billion of assets. The truth is that if the Home Trust had announced the fraud to regulators and the public the day after it was discovered all we would be hearing right now is what a huge success HT continues to be today. That did not happen and it has lead to this. We should all clearly understand this was really only partly a mortgage fraud story, this is non-disclosure story. When the dust settles, we should start asking questions about the way regulators handle these files. Everyone at the OSC must have known that the multiple sets of charges spread out over several weeks would trigger a liquidity crisis. So how is that an organization that exists to protect shareholders would execute their mandate in a way that they knew would destroy shareholder value? Again, this is just a tragedy and before the blame game starts let’s take some time this week to show support for all the hard working staff at Home Trust who must be stressed and worried. There is only so much we can do but let’s try to do what we can. I agree with you completely (for a change) and too am sad to see this unfolding in this way. I agree with Ron. This was a very strange situation in which a lender with a strong performing book suddenly is deprived of liquidity because of regulator actions that were possibly spurred on by the unending coverage that the short sellers of said lender were receiving in the media. There were also likely political motivations given that said short sellers were publicly berating and portraying the regulator for not doing their jobs. The fact that these allegations happened nearly 2 years after the conduct occured in which no credit issues were found in the income falsified loans is even more incredible. I totally agree with Ron . I believe all Lenders should have to disclose who they cut off due to fraud. How many of the top 6 banks in Canada report fraud to the regulators? FSCO should also be on the hook. Lenders cut the Brokers off , brokers complain about other brokers to FSCO. Who does the follow up to ensure these people are no longer in the industry. Totally Agree Home Trust has been lending to a niche market for over 30 years and have been putting people into homes when no other lender would with a decent rate. Like every other equity lender in the market place like Equitable Bank, Street Capital, Equity Financial Trust to name a few Borrowers with Bruised credit and the self employed Borrower who expenses a lot and whose line 150 on their T-1 doesn’t show all of their income. The Borrower has to fill out a self declared income form prove that they have a valid business and back up the income earned showing on the self declared form /letter with at least 3 months bank statements. These mortgages do not exceed 80% Loan to value and most of them are way under, the risk as far as loss is minimal if any. Now what about those 65 mortgage brokers what they did was fraudulent and they should lose their License and is FSCO going after them???? is anyone talking about them ??? . Now lets talk about what goes on with public companies and material risk? Did Home Capital lose any money because if these 65 Brokers ?? No. So they cleaned up the wrong with the Brokers ( which FCSCO as far as I know did nothing with) and then they disclosed to the stakeholders after but where was the material risk? Had they taken a financial loss ? No What I see is a very viable Company that should have gotten a slap on their hands and maybe a fine ( that the big banks would have !!) and instead the OSC has created a snowball effect out the door of deposit money and a decrease in share value. Home Capital is and always has been a viable Company that the Canadian lending platform has welcomed. A Company with good product and decent equity rates with creative equity lending for over 30 years. We should be honoring Gerald Soloway for his accomplishments and forward thinking and for helping the economy by giving these people mortgages at 3.99-4.99% so they don’t have to get 8-12% mortgages from private lenders and therefore losing their homes because they couldn’t afford them or not being able to buy them because they couldn’t afford them. People and the news need to stop bashing and start understanding what is really going on here!!!! The average joe will double-fleeced – the housing prices will come down, the pension plans will lose money and (triple-fleeced) the inflation will get worse with the government having to borrow more money to pay for everyone. NOT ALL borrowers are equal. Some borrowers may have build equity in their homes already. When they sell their homes, the equity now becomes a higher amount downpayment source to service a mortgage on a higher priced/bigger home. A borrower who bought a house for $400K 4 or 5 years ago with a $360K mtg that could now be worth $900K will have at least $500K as DP towards a house. IF these borrowers could qualify at $360K high ratio then with 25 years AM, with more than 20% DP and a 30yr AM…guess what? House of Cards? sensational at best. What happened in HT was tragic; wish we knew the details. Bottom line: definitely a black eye for the brokers. they should release the names of those brokers who were kicked out otherwise, they will just do the same crap with another firm. HOOPP is not dumb money. They get $100M profit upfront and their loan is secured against strong assets. The pensioners should do quite well on this trade. Perhaps it’s smart, but at the minimum it is bad optics with the HOOPP CEO sitting on the board of Home Capital and also being a shareholder. Looks like he’s bailing out his own investment with pensioners’ money. I do have difficulties to see how a company who’s bleeding deposits and more importantly, trust, will be able to turn the ship around independently while having to pay 20% interest. I smell government intervention a la Fannie Mae/Freddie Mac. 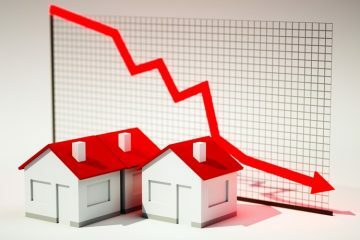 Anyway, the “good thing” out of all this is that rates are going stay lower – the market is on thin ice, I think the Bank of Canada realizes that more of mortgage holders are in worse shape that initially advertised and will be cautious raising interest rates. Canada is a house of fraud. You can’t make this stuff up. What a crazy joke. CMHC needs to be shut down . Mortgage fraud is out of control. Tony, your ignorance of the facts are shining thru. This is NOT a credit quality issue. 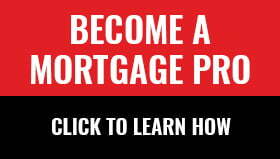 This is NOT a fraud issue, nor is this prevalent in the Canadian mortgage market. Do your research before you make “fake news” statements. This is a liquidity issue for Home Capital, started from NOT properly disclosing and from the regulator slapping Home for non-disclosure of some flawed underwriting processes. Do you know what the flawed underwriting process created in terms of losses? Have a look at the strong performance of their MTG book. What your comments and the media’s embellished story does is create uncertainty in the market, and the knock on effect of these ignorant and irresponsible comments could be catastrophic. When you force $15b of liquidity out of the market (70% of it is in Ontario alone), then there are other casualties (monoline lenders) and that continues to grow, this could ultimately erode or collapse housing values and people’s wealth in a big way. There will be a buyer for Home. The asset quality is healthy. It’s at 1/3 of book value ….that’s a good deal for anyone who has a mgmt team who can lead the organization out of this storm. And someone with deep pockets..in the billions. The banks and government regulator need to support a buyer of Home. And get the trading desks to open up for Home again and sell GICs. You are a lender and thus a vested interest. I get it. You either understand or don’t want to understand. Canada is in a housing bubble and people think their fake equity which is based on fraud is real. CMHC destorts the true value of risk. If lenders had to go out in the free and open markets they would find themselves like home capital borrowing from investors @ 15-22% since that is the true cost of risk in this housing bubble. How can companies like home capital borrow at 15-22% and lend at 5%? The same can be said with every other lender all through the food chain.